Apparently, my bike has a cloaking device that only works on Volvos (they never seem to see me... or seem to care). The green M&Ms are vegetables! Yes, I do expect my cat to learn English (she should be happy I don't expect her to speak it). There are only two types of computers - UNIX based and those which aren't (a.k.a. good ones and bad ones). Yes, webmasters should know how to change the config files on their webservers (whether they are allowed to is another issue). When someone quotes someone else in email or in an online forum, don't include the 200 line original message then add "me too" and nothing more! 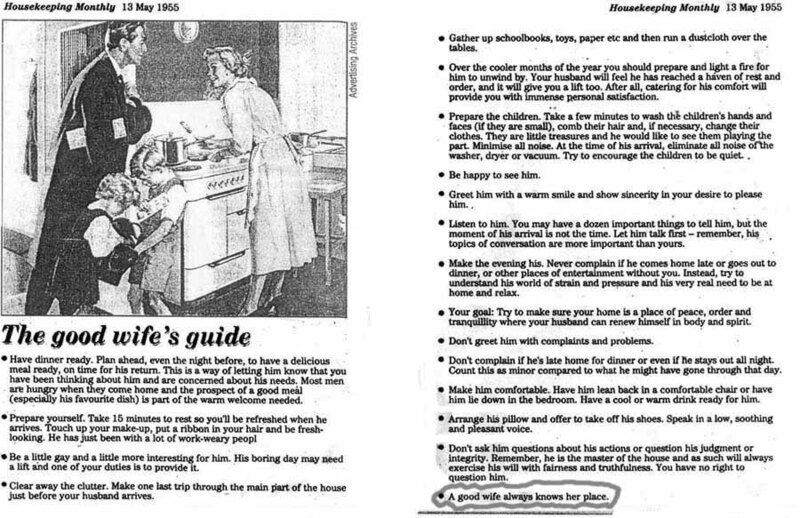 Here's how to be a good wife... every girl out there should pay attention to this. 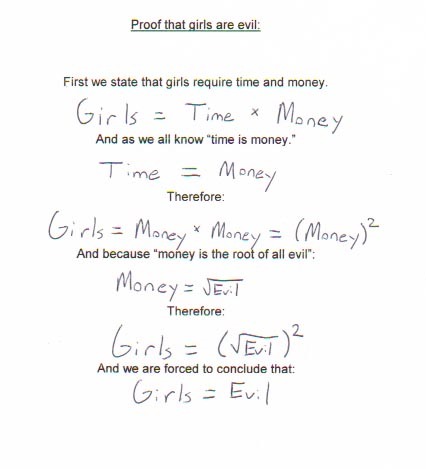 Proof that girls are evil here.